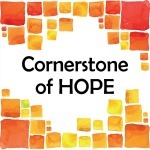 Cornerstone of Hope is a non-profit organization founded in 2013 and based in Rock and Jefferson counties in Wisconsin. Cornerstone of Hope began by defining the pillars of a healthy, thriving community and found that a number of essential community needs — like safe, affordable housing and abundant, nutritious food — were not being met in our area. Cornerstone identified the areas of community need within our reach and created programs that would directly address these needs. We aspire to adapt to the needs of our community as they change, adjusting our programs to best benefit those we serve. Cornerstone currently has 4 programs, each with a specific aim in mind. Our Home Supply Outlet Store, located in Fort Atkinson, sells gently used and surplus building or furnishing materials. 100% of the proceeds from the Home Supply Outlet Store go towards improvement projects in Rock and Jefferson counties. The Aging in Place program for senior citizens is designed to keep elderly community members in their own homes as long as possible through home repairs and accessibility projects. The construction of safe, affordable homes for working-class families provides shelter while also promoting community development, underscoring the transformational quality of dignity and hope. Finally, our Produce for Pantries program supplies community members with raised garden beds with the intent that surplus food is donated to local food pantries, eliminating hunger and providing families with nutritious meals. At Cornerstone, we make it our responsibility to support families and help build strong neighborhoods. We believe that at the heart of every community lies Hope, and we aim to spread this message through our work in the community.